Here comes the latest Vaporesso Armour Pro 100W TC Kit! It comes with Vaporesso Armour Pro MOD and the Cascade Baby Subohm Tank with 5ml/2ml e-juice capacity. 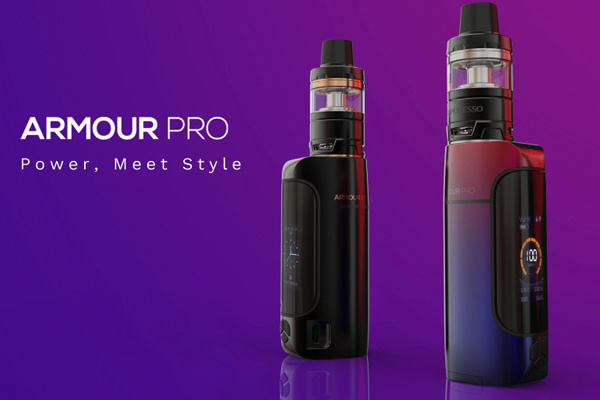 With the unique Omni Board 4.0 chipset that integrates Flash Heat and multiple protections, the Vaporesso Armour Pro Kit will bring you the best vaping experience in a safe environment. The Armour Pro MOD is also compatible with single 21700/20700/18650 battery which can fire up to 100W max output in a quick firing speed of 0.002s. Together with the 0.96 inch colorful display and various working modes, the Armour Pro MOD will satisfy your different vaping needs.